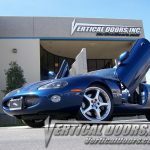 Vertical Door Kit for a Jaguar XK8/XKR 1997-2006 Lambo Door Conversion Kit made specifically for every vehicle. VDI only manufacture’s the best kits, highest quality, best customer service, strongest kits, and the most affordable kit for the quality. Our line-up includes all of the major vehicle manufactures. This system is everything you need for a successful, reliable and cost effective conversion in a minimum amount of time. 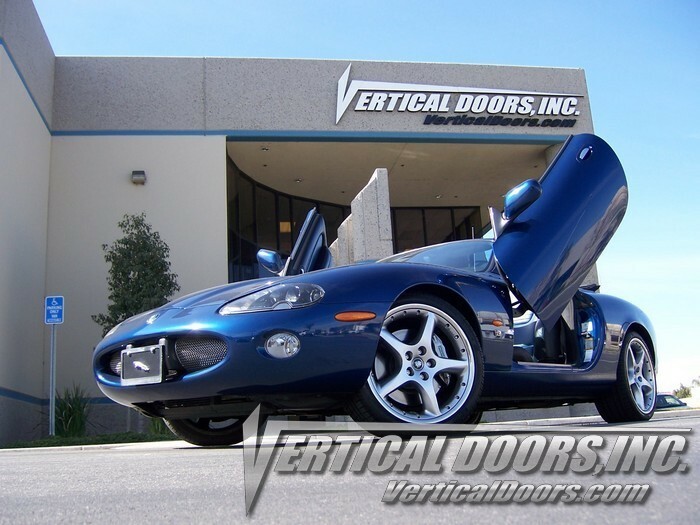 Vertical Doors, Inc., kits are proudly made and patented in the United States. Bolt-on kits made specifically for your vehicle. Not only are our kit easy to install but they are also easy to operate, basically open your door like normal until it stops at a predetermined position then raise your door. 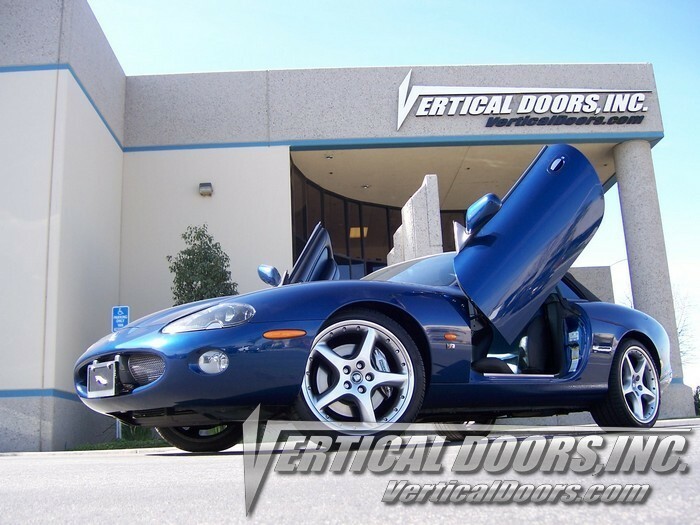 You also have the option of opening your door as factory unlike most Lambo Doors, Scissor Doors, Wing Doors, Butterfly Doors, Lamborghini Doors, etc, imitators.